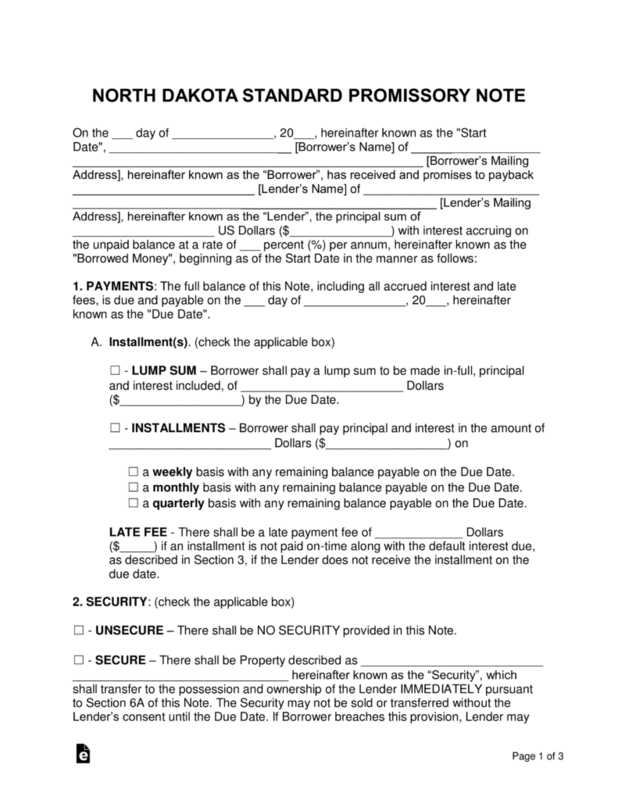 The North Dakota promissory note templates are documents used for money-lending transactions in which a lender is reimbursed a loaned balance plus interest from a borrower in a timely and structured fashion. In addition to the documents detailing the structure of the agreement, the documents can also be used in a court of law once all required signatures have been recorded on the template. Secured Promissory Note – The secured version requires the borrower to set aside an item that is roughly similar in value to the amount of the balance. If the borrower cannot make payments on the balance, the item in security will be given to the lender to help cover the unpaid balance. 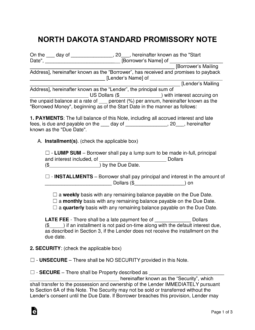 Unsecured Promissory Note – The unsecured version does not include security. This adds a considerable amount of risk to the transaction for the lender as he or she would need to rely on taking the borrower to small claims court to recover the unpaid balance.